Home / #US / #USChronicles / #USLocal / Florida / Shooting / #USLocal : Rapper XXXTentacion ,Jahseh Onfroy 20 y.o.,has been shot dead in south Florida.! #USLocal : Rapper XXXTentacion ,Jahseh Onfroy 20 y.o.,has been shot dead in south Florida.! The Broward County Sheriff confirmed that the 20-year-old artist had died following a report by US celebrity news website TMZ, which said he had been gunned down by two hooded assailants after leaving a motorcycle dealership in Deerfield Beach, north of Miami, on Monday. An eyewitness told the outlet that the rapper - whose most recent album debuted at number one in the US back in March - had been seen "lifeless with no pulse" after the incident at just before 4pm local time. In a later statement released on Twitter, the sheriff's office said: "The adult male that was taken to the hospital has been pronounced dead. "The adult male victim has been confirmed as 20 year old Jahseh Onfroy aka rapper #XXXTentacion." 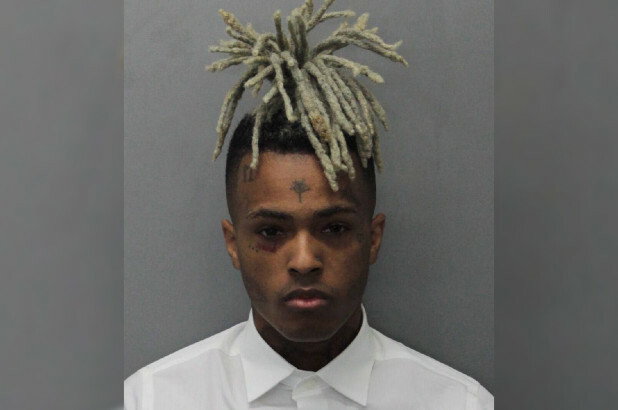 The fatal shooting came just months after the victim - real name Jahseh Onfroy - was released from house arrest in relation to a charge of domestic violence against his pregnant girlfriend. He had been awaiting trial to answer to the allegations, which stemmed from an incident last October, but had been let out so that he could go on tour. Following the charges, Onfroy was removed from certain Spotify playlists as part of a new policy by the music streaming platform to address "artist conduct". His music was reinstated earlier this month after the policy - which also affected R&B star R Kelly after allegations of sexual abuse - was criticised for targeting specific artists. Onfroy had previously been arrested for other criminal charges, including robbery.